Body is Warm and Natural that is stained. Her dress is adorned with stamped gingerbread men. Instructions to make gingerbread men stamp and candy canes included in pattern. Easy to make. PDF download includes easy to follow instructions, doll pattern, clothing pattern and complete suggested materials list with finished doll photo. I love the details and pretty clothes from this doll artist and I have made several over the years. Good detailed instructions. 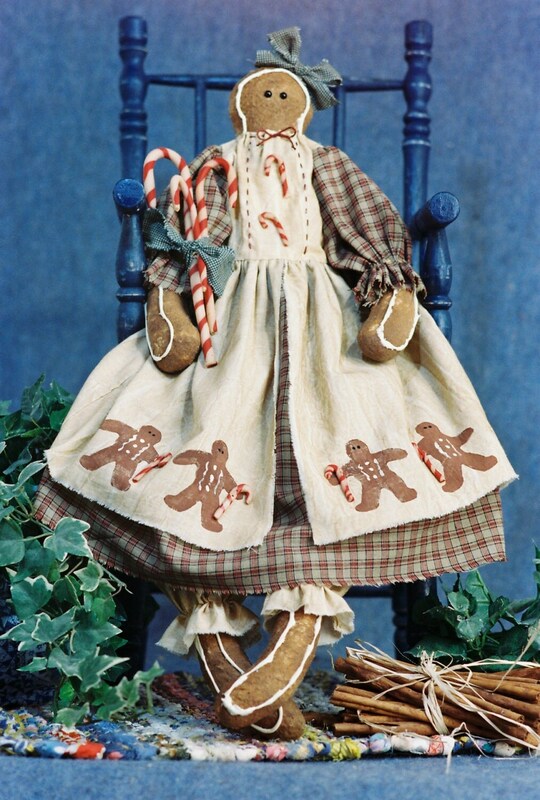 Purchased this for the dress pattern which is adorable but the doll is great, as well.